Doves and Figs Cranberry Fruit Mustard was the inspiration for this beautifully simple salad with dressed with cranberry mustard vinaigrette and topped with dried cranberries and crumbled goat cheese. I love dishes that span the seasons and this salad would be perfect for a hot Summer day lunch but would also be delightful as part of a Thanksgiving diner. For the greens, I like to use Boston lettuce or other tender head lettuce. Rinse the lettuce and instead of tearing the leaves, turn the head upside down and cut out the stem/core carefully. You can now place the whole head in a shallow bowl. It will look like a flower. To make the dressing take a mason jar and add two teaspoons of Cranberry Fruit Mustard. Pour in 1/2 cup of good olive oil and 1/4 cup apple cider vinegar and season with salt and pepper. Shake well and pour over greens (It is fun to do that step in front of your guest at diner). 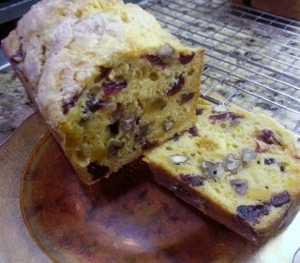 Sprinkle dried cranberries and crumbled goat cheese and serve right away. It is that dark and difficult time in the little jam kitchen. Don’t get me wrong; I understand that the world is beset by violence, famine, and floods and yet I come to you to complain about my longing for berries. It is less than a month, until the first strawberries arrive; ripe and sweet and red but I grow weary of waiting. We jam ladies go about our business of making delicious spreads out every kind of fruit from our local farms but around this time of year we feel the challenge of “going local” more than any other time. Our friends and customers see supermarkets counters filled with every type of produce and so naturally it is reasonable for them to ask for a jar of a particular strawberry or raspberry jam. They are often shocked to find during this time of year that we have sold them all and no more will be made until the season comes around again. It reinforces our own craving to have that Summer fruit now. So what do we do? 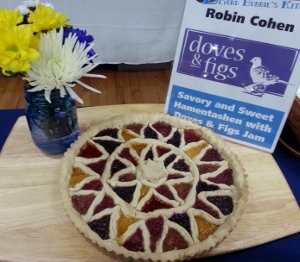 It is easier and cheaper to stop buying fruit from our local family farms but that was the point of my starting Doves and Figs in the first place. We could have strawberries from somewhere all year round but it would not be the same for me. The first sun-warmed berries will arrive soon from the fields and they will again taste of shortcakes and childhood adventures and the essence of Summer. What do we do? We wait and we hope that you find beauty in embracing the seasons too. This is a story of family and food and love. My father’s mother, my grandma Julia, had five sisters; my great aunts Jenny, Anna, Helen, Mimi, and Lulu. My Dad learned to cook, bake and preserve from the wonderful women in his family and from my grandfather, who was a butcher. As a very young girl, I spent the early mornings while my mom and brother slept, with my daddy. In this quiet time he shared the secrets of the kitchen; separating eggs, mixing the lightest batter, transforming ordinary berries into glistening preserves and syrups, or stuffing a sausage and corning a beef brisket. I was enchanted and have never wanted to leave this magical world. Dad told me that my Aunt Jenny taught herself to make pickles because my Uncle Bill hated garlic and all of the pickles at the market had garlic. 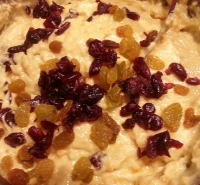 Also Jenny made an amazing spread that everyone loved from simple ingredients of dried and canned fruit. At some point years later we noticed that Dad’s hand began to shake. I remember the awful day when my mom and dad told me that dad was diagnosed with Parkinson’s. We all spoke of treatments and how we were sure that it would all be OK. However over time this cruel disease robbed dad of his joys of working in my parents antique business, roller blading, photography, and cooking. 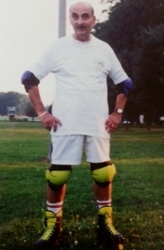 As dad’s health declined, we spent a lot of time talking about family stories and recipes. There was something very calming and familiar for him to talk about things like his mother’s huckleberry pie (it was so good that it made him come home early from vacation when he heard she was baking one) and my Aunt Jenny’s delicious apricot and pineapple jam. When I asked him for the recipe for the jam he was not sure how to make it but said he would know it when he tasted it. Experimentation and tidbits of information; “they must be California sun dried apricots” he remembered her saying, helped us recreate the recipe. I made a few jars and dad took one bite and declared it a success. We recruited my cousins, Aunt Jenny’s children as taste testers and got a rousing approval. My Dad, Sidney Cohen, was taken from us a little over a year ago and I miss him terribly. He was not the sort for a big fuss and would not have liked any kind of grand celebration or some award done in his name but I wanted honor his memory. 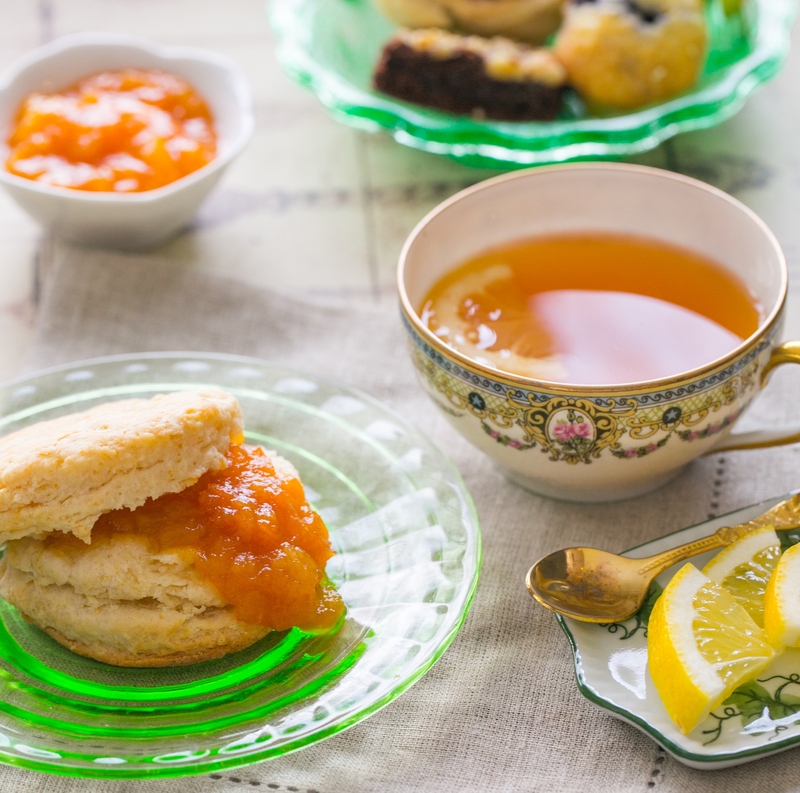 We have made a special vintage recipe version of our Aunt Jenny’s Jam for sale online and at our markets. I will be contributing 10% of the total sales for this jam for the rest of the year to Parkinson’s research. I hope this bright sunny spread will be a delight for my family to share with yours and the money raised with help in some small part to reduce suffering and lead to a cure. I love the holiday of Purim with its exciting stories of heroic princesses, colorful costumes, and jam-filled cookies called Hamentashen. A few months ago we were invited to an event called Beyond Bubbies Kitchen and asked to make a dish that was a twist on traditional Jewish food. 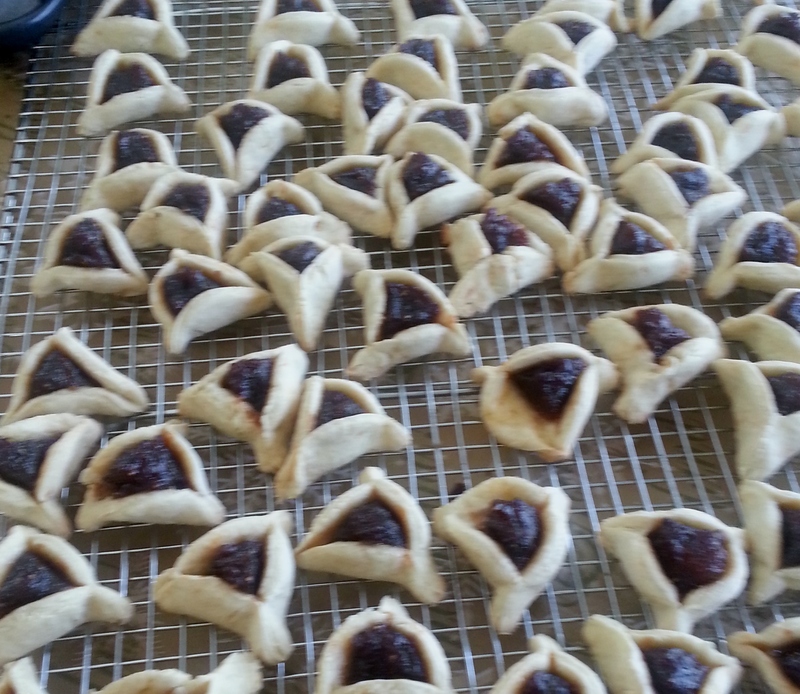 I glanced at the calendar and saw that the event was being held days before Purim and I am a jam maker, so naturally I decided to make Hamentashen (you just knew there had to be jam involved somewhere). However, we still needed a twist! 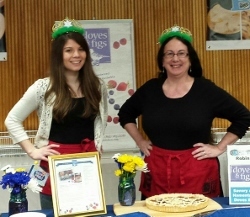 Our little jam team baked about 1000 cookies for the event but we also had one more idea up our flour-covered sleeves. With a nod to my current favorite television program The Great British Baking Show, we made a showstopper which we called Purim Pie (my hubby renamed it The HamenTARTshen). Taking my favorite simple pie crust recipe for a double crust 9″ pie (a mix of butter and shortening), I filled a 10″ loose bottom tart pan with the crust. 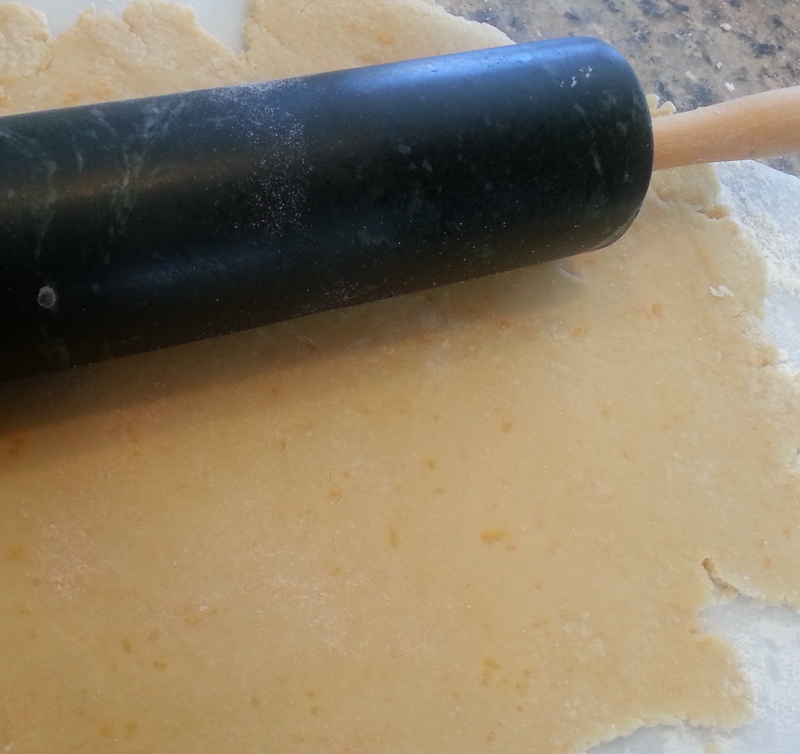 I then made a rope of dough into about a 6″ circle and placed in the pan. I made more ropes of dough and cut them into 5″ pieces, bending and pinching them into a triangle shape. 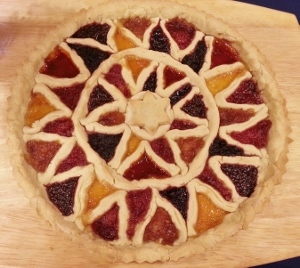 I fit the triangles into the space between the edges of the tart and the circle. when all the spaces were filled, I made another smaller circle and fit more dough triangles in between the two circles. When all the triangles were placed I started to fill them with jams. I only filled the spaces about 2/3 full so the jam would not overflow. Being a jam company, we had lots of flavors to choose from in our pantry but I think the tart would also be lovely with only three or four flavors alternating in the spaces. Finally, we added a Jewish star cut from pie dough to the middle of the tart and baked the tart for about 30 minutes until lightly browned with bubbly jams. Happy Purim! Boo Hamen! Horray Brave Esther! Vashti-rock your girl power! We have a family friend who is mad about deviled eggs but his girlfriend and the rest of the folks around are not big fans of making or eating them. I try to bring a plate of eggs to parties and potlucks when I can as a treat for him. I made a batch recently and as I started to put them together I thought the eggs looked a bit plain and would benefit from a little accessorizing . Since much of my kitchen time has been dedicated to holiday jam making the home cupboards were bare. Rummaging around in the fridge I found one Jalapeno and from the pantry I snitched a hand full of dried cranberries. Yes, I know it sounds weird but pretty eggs now had a delicious combination of sweet, tart, spicy, salty, and creamy. When we offered the red and green flecked eggs to our deviled egg loving pal he gave them a bit of a skeptical look but ended up ignoring the plain ones in favor of the spicy berry ones. They were a hit and we are making them for several holiday events this season. 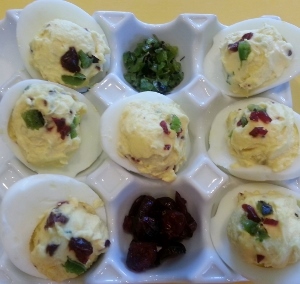 I hope you will try our Holiday Deviled Eggs recipe!